"The MOTOWN SOUNDS OF TOUCH" - A TOP 3 FINALIST on the Popular NBC TV Show "THE WINNER IS"! The TOP "Motown Sound Tribute" In The Country! NO ONE DOES IT BETTER! Over 15 years of entertaining audiences with their energetic dance steps and colorful outfits! TOUCH members have also written songs for THE JACKSON 5 and MICHAEL JACKSON!! With Motown Records celebrating 50 years of great music, This is "the" act for all "MOTOWN" loving people to see! They have shared center stage with Rick Springfield, The Temptations, Lou Gramm/Foreigner, Al Green, The Spinners, Night Ranger, Eddie Money and the Legendary Ray Charles, just to share a few! 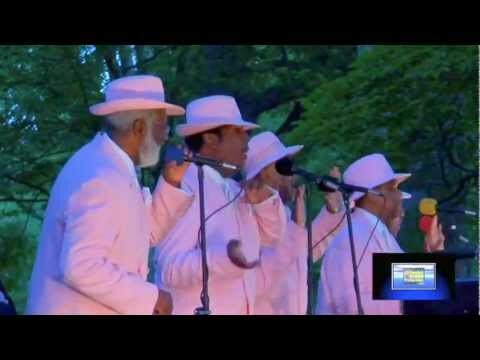 Bringing Their MOTOWN SOUND Style show to your Event! I was invited to The house Of Joy in Cincinnati to see the Motown sounds of Touch. Enjoyed every song,every move and was able to get a picture at the end of the show. Friendly and enjoyable to talk to. Planning to see them perform throughout the year. Extraordinary performers, fantastic Motown sound!!!! My family recently hired the Sounds of Touch to play at my wedding. From the start, they could not have been easier to work with. They responded to my inquiry in a prompt, friendly, and helpful manner. From the start that made this group stand out from others. They remained easy to communicate and plan with leading up to the 'big day.' When I arrived at the venue the day of the wedding, several of the band members and performers introduced themselves to me, complimented my dress, and even took pictures with me. They were incredibly kind, warm, and fun to be around. Then the music started....it was perfection. My guests were all dancing and immediately commenting on how fun the group was, everything from their music to their moves to their costumes were impeccable and added to the excitement of the evening. Throughout the night, guests kept coming up to me praising the band and the way that the music enhanced the event. They put on an amazing performance, and I was so sad when the music stopped. I cannot recommend this group highly enough--they are extraordinary!!!!!!!!!!!! My sincere appreciation for all of the talented singers and musicians making my wedding such a special event. Thank you, Sound of Touch!!! Went with my mother to see them. I was probably the youngest person there (28) but I knew every song. It's what I grew up on, my mother was always playing Motown, Golden Oldies, and Elvis. They are great performers!!!! I recommend to anyone of any age. Just incredible. The audience you were able to capture was great, folk were dancing, you even had solid gold dancers come out. I'm 29 years old, I've been to dozens of concerts and believe you'll see me in Dayton in February...just great. Had the good fortune of being entertained by you @ the ISFA convention in Indy. You had us "twistin' the nite away"! Glad to see you on "The Winner Is.." You deserve to win this and go far.....and we deserve to hear alot more from you!! Not only is your show amazing but you were so genuine and nice @ the "Meet & Greet" Good Luck, Gentlemen!! A Great Performance By Great Performers !!! Saw Touch last night for the very first time . It was a first class show from begining to end by a group of first class musicians !!! Great Job ! I enjoyed listening to Touch this past Sunday at the Cuyahoga County Fair. I hope to be able to see them again real soon!!! Where can I see there schedule? to see and know where their next performance will be. You take care! Thoroughly enjoyed your show last night. Hope to see you again soon. Shout out from Arizona - can't wait to see Touch again! Your performance was outstanding during our last attendance to your show! Miss it and hope to see again. Our P. A. Williams Auditorium was alive with the sounds and feel of Motown. Less like lookin' back fondly and more like relivin', this was a big, fun concert energized by consumate professionals who obviously love their work, every soulful minute of it. And while it didn't feel like history, of course it it is. For that reason, on a return performance, I would want all of our Music History students to experience The Motown Sounds of Touch. Saw these men at the Opera House in Cheboygan...what a fun show. Touch is a great entertainment group, and brought back memories of my younger times. All have wonderful voices, great stage personality, and a great band to back them up.